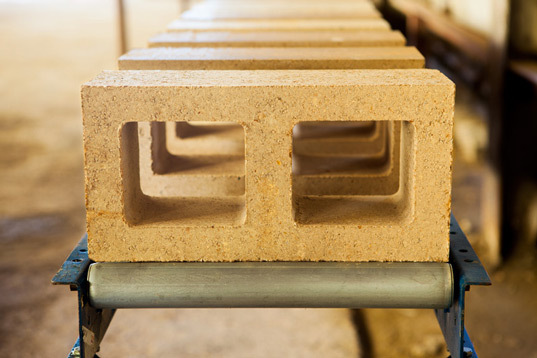 Concrete has a giant carbon footprint yet concrete blocks are a ubiquitous building material used around the world. Watershed Materials has produced a new, beautiful and sustainable masonry block that uses half the cement of a traditional concrete block. And now, with support from the National Science Foundation, the company is researching the production of a durable, resilient block made with zero cement. Nice idea but they're still using 100% masonry cement when laying the block. It's not mentioned anywhere in their material...as if they're avoiding that "little" detail. But what else will hold it all together. Head joints, bed joints...it's all cement.